Welcome to All County Paving of Orlando. We are a top Orlando Asphalt Contractor located at 4800 Patch Rd. Orlando, FL. Our Hours are Monday through Friday 8-6pm. Call our office today to discuss your paving needs! All County Paving has been servicing the area as a top commercial paving contractor for years. We’re proud to be the number one choice for asphalt installation, commercial paving repairs, and parking lot maintenance for homeowners and businesses in Orlando. It took us many years of hard work, dedication to service and careful attention to each of our customers and their projects to be able to say that we have the loyalty of Orlando as its asphalt company. We have seen a major growth in local tourism in this region, namely in the Kissimmee and Orlando areas. With Disney, Universal, Sea World, and many other nearby water parks, restaurants, shopping plazas, and local malls, visitors and residents alike have come to see the immense growth the city has seen just in the past 50 years or so. With more and more land growth, more new development including business development and new industries continuing to come through the area there doesn’t seem to be an end to the opportunities for the hardworking and industrious. This is perhaps why we have become such a well known asphalt company in Orlando for local paving needs. As an industry leader, we have provided services in the area for years. Whether it is a property owner in need of new parking lot paving, or new asphalt roads to be laid out for a neighborhood, we have industry professionals working for our company who do high quality work. Over the years we have become one of the most trusted local companies due to our industry expertise and experience, our professionalism, and the different services we have offered to our local customers for the most affordable pricing possible. In fact, due to the major growth in the industry of tourism and local attractions, we have recently begun doing major scale work for major tourist attractions as well. Our team of experts are fully versed in performing new asphalt installation, in doing commercial repair work to asphalt which is damaged, or otherwise servicing asphalt and pavement, as is required by our local customers. So whether it is a well established customer in need of a minor repair job, or a new development in the Orlando area, which needs us to do new construction work for a parking lot or parking facility we have the team on site to render such services. With our many years of expertise in the local industry, and with the many changes we have seen come through the city in recent years we have found how to achieve results for every type of our clientele, and we have the manpower to perform local services for customers and businesses of all sizes who might be in need of our professional Orlando asphalt services which we have years of expertise in. We have become an industry leader in asphalt services. We do major and minor repair jobs in the city. If there is a ditch or crack in the asphalt, we can render repair work. If local businesses need us to do new installation work or repave the asphalt on their property we also have the equipment to perform such services. We have begun implementing new equipment and new commercial grade supplies as well, due to the growth locally and demand that new businesses and our expanded customer base needs. 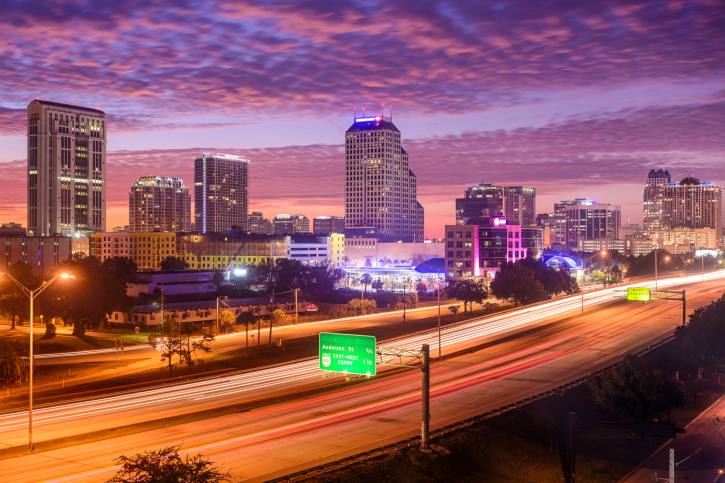 Orlando has been a great place for us to grow into over the years. It’s been amazing for us to see great food pop in Winter Park and also all of the new technology and production capabilities that the big entertainment companies in the area have produced. There is so much to do in this city, from visiting the SunTrust center’s amazing viewing deck and suite to the Orange County Convention Center, which has been one of our largest sources of compliments. Whenever there is a convention held there it seems we’ll get a few referral calls from an Orlando customer who needed to know where such excellent asphalt came from. We are glad to make it easier for our neighbors to get around and commute during the day, and are always willing to share our knowledge and skills with new and returning clients. Although we have been in business doing asphalt Orlando services, repair, and new install work for years, in the past several years, we have become one of the industry leaders in the local area, servicing customers in all industries. Due to our industry experience, professional service techs, and quality services we have garnered more and more attention from local businesses. Regardless of service needs, we are fully equipped and prepared to render asphalt repair, installation, or other services in Orlando and the surrounding area. Recently, All County Paving received a call from a management company needing sealcoating in Daytona Beach. The management company owned a strip mall and the businesses were complaining that the parking lot was looking terrible and they wanted it repaired quickly. The All County Paving team arrived at the strip mall to meet with the owner and to look over the parking lot, so we could give an accurate bid. The All County Paving team inspected the parking lot thoroughly and let the owner know that sealcoating would be an excellent option for the parking lot. We gave him a bid that he was pleased with, so we scheduled to start on the sealcoating in Daytona Beach first thing the following morning. The team arrived promptly on time and started cleaning the parking lot and filling any cracks that were present, then the team applied the sealcoating on the parking lot. The team made sure we didn’t interrupt any business with the customers attending the strip mall. The job was completed that same day. The business owners and the management company were all very pleased with All County Paving’s work and quickness. The business owners told us that the parking lot looks brand new again and all their customers can safely park without fear of damages to their vehicles. All County Paving is the sealcoating expert in Daytona Beach. A few weeks ago All County Paving was contacted by an owner of a paint shop. The owner of the paint shop was planning on opening his shop as soon as possible. He wanted to have his parking space paved by the best Orlando paving contractor, so he called All County Paving. We were able to set them up with great services and no problems. We met with the customer and looked over his parking lot. The parking lot was in good shape, but needed to have several cracks filled, then sealcoating applied. We gave the customer an estimate, and he hired us on the spot. The All County Paving crew arrived at the location as scheduled and started cleaning the parking lot thoroughly to remove any dirt and debris from the surface, then the crew filled the cracks. The crew added a coat of sealcoating to the lot, then striping, so the parking spaces would stand out and provide safety to the customers. The shop owner pulled up just as the crew was cleaning up to head out. The customer just wanted to thank the All County Paving crew for doing a quick, effective, and affordable job for him. He said that he can open up his business sooner than he was expecting because he hired the number one Orlando paving contractor All County Paving. He thanked us for doing a great job and said he looked forward to working with us again in the near future. A month ago, All County Paving was contacted by an Orlando law firm. The law firm was needing some work done in their parking lot. One of the partners had heard a poor comment from a client on the overall state of the parking lot, which of course concerned him immediately. He called us for our excellent parking lot repair in Orlando, which we were able to provide for them quickly and effectively. The crew arrived at the law firm and started the parking lot repairs. The crew first filled and patched the potholes that were in dire need of attention, then they filled the cracks that were present. The crew returned the following morning to apply sealcoating to the parking lot. Once the project was completed the crew cleaned up thoroughly, then headed out to the next location. One of the partners called the office that afternoon just to thank us. He said the crew did a phenomenal job on the parking lot. He said that when he heard the inital comment from his client, he knew immediately that he had to have the repairs done as soon as possibly because it wouldn’t look good if he had an injury on his own property. He continued to tell us that All County Paving is the only parking lot repair specialists in Orlando that businesses can depend upon for quality asphalt work. He said our crew was very professional, courteous, and never interrupted their daily business. The All County Paving experts arrived at the dealership and looked over the asphalt. There were a lot of cracks and chips in the asphalt due to the chemicals and the heavy traffic that the bays received. We offered them several options for the repairs, and we also recommended what we thought would be cost effective and reliable. We were able to give them a great price on the paving repairs and it must have pleased them, because two days later they called us back and asked us to start on the project first thing Monday morning. The All County Paving crew arrived at the dealership and started repairing the asphalt. The crew resurfaced the asphalt, which would provide a smooth and durable surface for the customer. The crew finished the work a day ahead of schedule and the customer was very impressed. He said that he was glad he went with All County Paving as his paving contactor in Orlando because our knowledge, professionalism, and the quality workmanship provided made us the number one contractor in Florida. All County Paving was able to perform the repairs and make another customer very happy. Recently, All County Paving received a call from a business owner in Orlando. The vitamin store owner had done great sales last year and wanted to see about having their concrete loading area repaved. The owner noticed that along with the increase of sales he was having more deliveries, and that led to the loading dock to become a bit damaged. He called the best paving contractor in Orlando, All County Paving. The All County Paving experts arrived at the vitamin store to inspect the loading dock area. We always want to make sure that we do this to ensure that the surface and base is in good shape and to also provide an accurate estimate. The loading dock was in good shape and repaving would add structure and durability, which was exactly what the store owner was wanting. We gave him the estimate and he was impressed, because he thought it would cost him a lot more money. He scheduled us to start on Friday at noon, because his last delivery is scheduled around nine in the morning. Our crew arrived on time, as scheduled and started the repaving process. By Monday morning, the All County Paving crew had the job completed. The customer looked over the loading dock area and he said he was glad he called the best paving contractor Orlando has ever seen, which was All County Paving, because we did a fantastic job, a reasonable price, and all done ahead of schedule. An athletic clothing store had started selling a larger, expanded selection of running shoes. A lot of customers were walking with their shoes right out of the store, which would then get dirty due to the parking lot being in such a shabby condition. The customers were not happy to purchase brand new shoes only to have them look drab from the parking lot. Complaints started happening, which created concerns for management. The store manager had to do something about this, so he called us at All County Paving seeking the best paving company Orlando had to offer, and we were more than happy to perform repairs for them. The All County Paving team looked over the parking lot. Though the customers were getting their shoes dirty in the parking lot, an assessment of the damage led us to the determination that the lot wasn’t in that bad of shape. The parking lot needed to have a few large potholes filled and patched, then sealcoating applied. Our team started filling the cracks and potholes, then the team started the sealcoating process. It didn’t take the team long to get the parking lot in excellent condition. The store manager was happy to know that we had the parking lot done. His boss came to look at the parking lot and was impressed that his manager contacted the best paving company Orlando customers would appreciate, because now the parking lot is repaired and durable.Most of all the parking lot would not be getting his customers’ new shoes dirty, thanks to All County Paving. Not long ago, All County Paving was contacted by an Orlando boxing gym owner. The gym owner was wanting to have his parking lot repaved after he had received some local buzz and gotten about 40 new members in just one month. He didn’t want to look unprofessional and wanted to keep getting new members, so he called the best asphalt contractor Orlando has to offer, All County Paving. The professional crew at All County Paving arrived at the gym in Orlando and cleaned the parking lot thoroughly so that all the chemicals and debris were removed, then the crew filled a few cracks that were present in the asphalt. The crew then started repaving the parking lot and within just two days the All County Paving crew had the project completed for the customer. The owner pulled up to his boxing gym and was pleasantly surprised on how great the parking lot looked. He was so happy with the parking lot that he immediately called us to thank our company for doing such a great job. 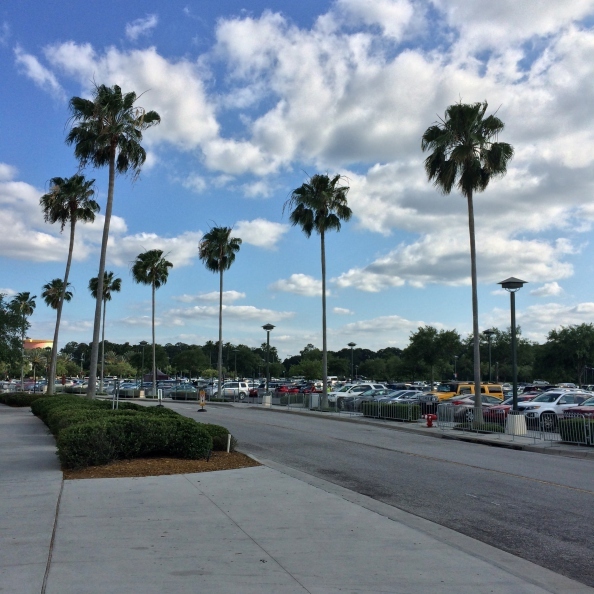 He said that he is very impressed and glad that he called the best asphalt contractor Orlando businesses could count on, because All County Paving did a terrific job repaving the parking lot. The customer said that he is looking to keep getting new members for his gym and now he has a professional parking lot to go along with his professional boxing gym all because of All County Paving. An Orlando hardware store needed to get asphalt maintenance done and wanted to schedule it for right after the holiday season started. The owner contacted All County Paving for an estimate because he had seen our company doing work on the parking lot across from his establishment and their parking lot looked amazing when we were done. The All County Paving professionals met with the hardware store owner, so we could look over the asphalt and give him an accurate estimate. We don’t give estimates over the phone because we want to provide our customers with quality services at the correct price. The crew examined the parking lot and then gave the owner the estimate, which he was delighted with. Our crew was scheduled to return after the holiday season had begun. The crew started the maintenance work, which included sealcoating, parking lot striping, and filling of a few cracks. Once the work was all performed the customer came out to take a look at the parking lot. He said that the All County Paving crew did a spectacular job and he was impressed on how quickly the work was performed. We let the customer know that if he had annual asphalt maintenance performed that his parking lot would be secure, stable, and durable, which would also provide a longer life that would save him lots of money later. The customer agreed that he would contact All County Paving, because we were the expert asphalt maintenance company Orlando business owners could depend upon. Recently All County Paving was contacted by a food truck owner. The Falafel food truck owner was finally building a brick and mortar space after saving for several years. He was needing the best asphalt contractor Orlando could offer to do their parking lot, so he called All County Paving. We met with the food truck owner at his soon to be an established business in Orlando. He showed us where his building was being built presently and where he wanted the parking lot. The owner was very specific about his parking lot because he wanted it to have wide parking spaces, so all types of vehicles could use the space without using any additional parking spaces. We gave him an estimate and he gladly accepted so the All County Paving crew was scheduled to start on the project immediately. This was because the buildout was nearing completion. The All County Paving crew arrived at the location and started working on the parking lot. The crew worked each day, all day until the parking lot was completed. The project was done a week ahead of scheduled, which was impressive to the customer. All County Paving helped them have a spectacular grand opening and the parking lot looked great. The customer was thankful that he contacted All County Paving, because we met and exceeded his expectations. He said we were the asphalt contractor Orlando business owners could trust and count on for the best asphalt services in Orlando could count on.